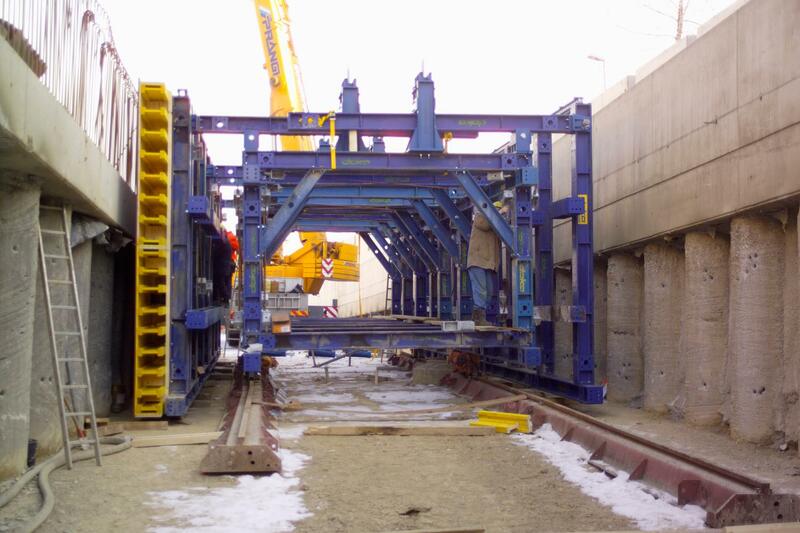 The 'A7 Betonbau' consortium was able to build the Bindermichl motorway enclosure with the motorway carrying its full volume of traffic. 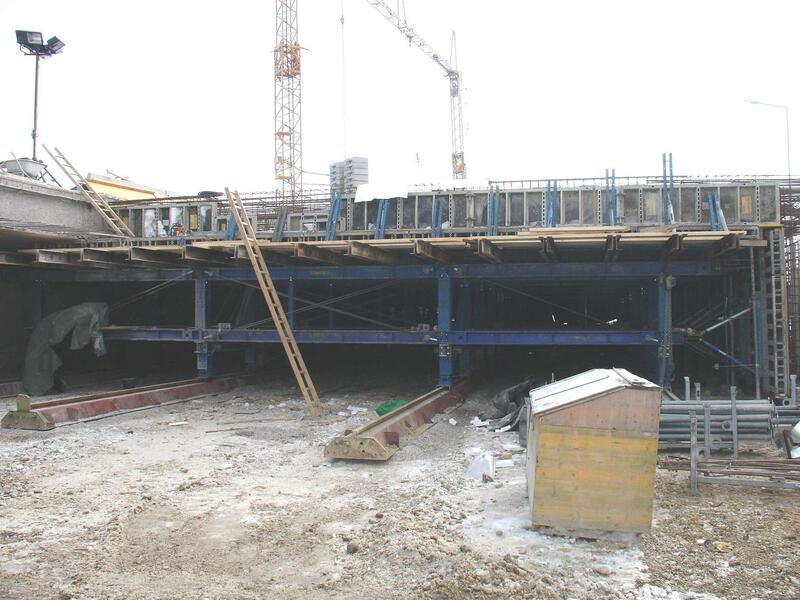 This project, involving the lowering and enclosing of one of the busiest stretches of the Austrian motorway network, was the biggest noise abatement project ever undertaken in the Upper Austrian capital Linz. 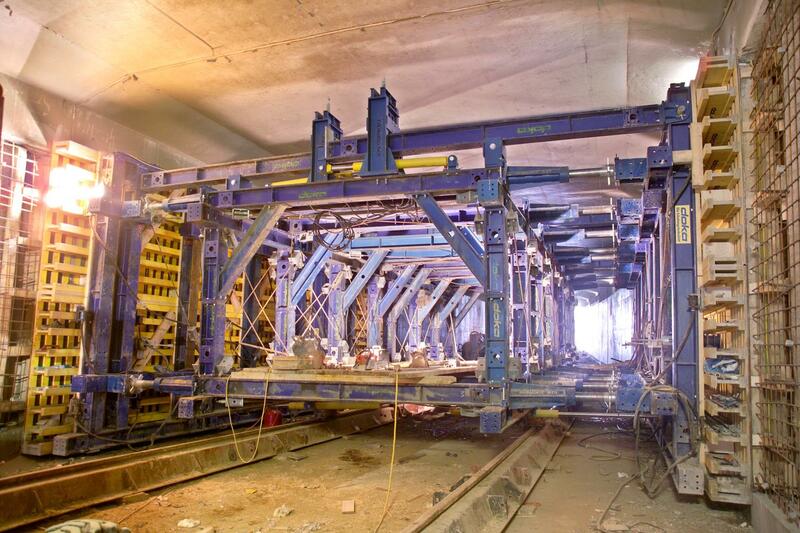 For the work on the western tube of the tunnel, Doka supplied two tunnel-wall formwork travellers for the casting liners, and a tunnel slab traveller. 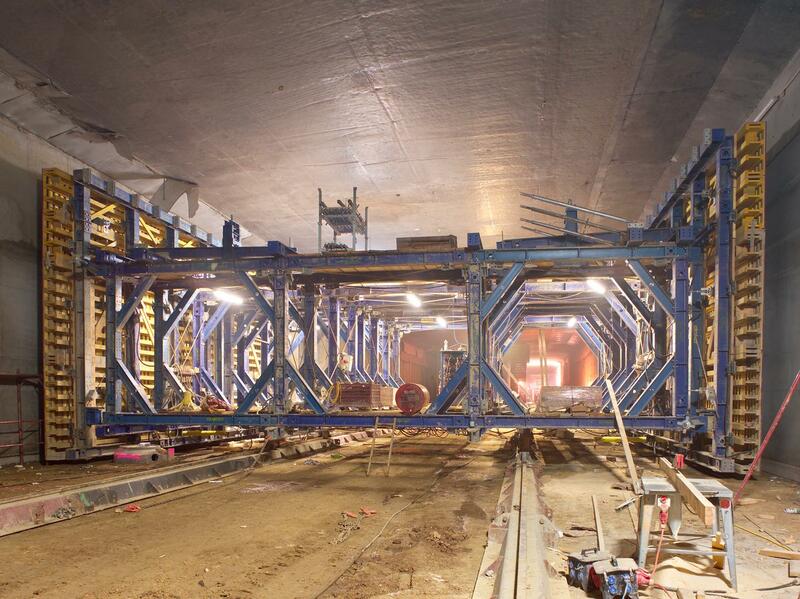 The tunnel formwork traveller designed for this top-cover tunnel weighed 67 t and was 14 m long. 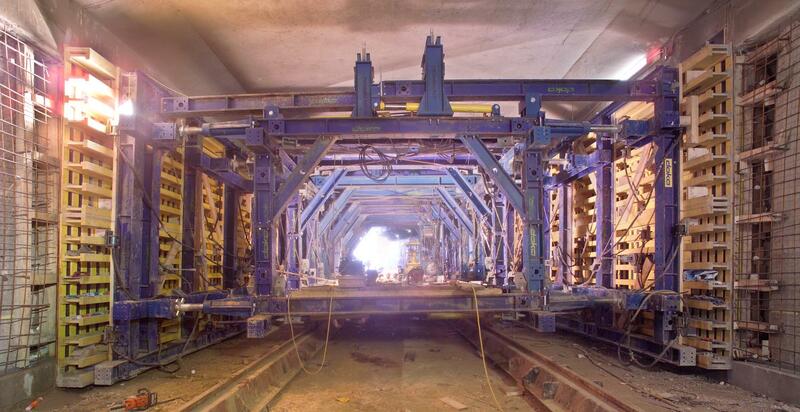 It could cover tunnel widths of 7.25 m (for the typical cross-section) to 8.75 m (for the extra-wide sections of tunnel). Following modifications to the traveller, it was then also used to construct a ramp structure (denoted LZ11), in addition to this contract section. Thank you for your interest - A7 Bindermichl motorway enclosure. Thank you very much for your interest - A7 Bindermichl motorway enclosure.